Recognizing the need to enable Indian photographers to produce and share their work in their lifetime, the Sher-Gil Sundaram Arts Foundation has pledged an annual photography grant of INR 5,00,000 in Umrao Singh Sher-Gil’s name to encourage independent voices in photography. Umrao Singh Sher-Gil’s (1870-1954) relationship with photography in his lifetime was a private affair — his principal subjects being his family and himself. He tended to be overshadowed by the emblematic presence of his daughter and artist, Amrita Sher-Gil (1913-1941). It was in 2007 that Umrao Singh was recognised as a photographer of considerable importance. His self-portraits span almost sixty years and make up a unique archive. He is now regarded as a pioneering figure of the mise-en-scène or staged photography in India. Established in 2015, the Umrao Singh Sher-Gil Grant for Photography will recognise a photographer’s commitment to the ‘staged’ or ‘constructed’ image. Documentary photography projects using the idiom of the staged or constructed image will also be considered. The grant is for Indian nationals who reside in India. There is no age limit for applicants to the grant. Individual photographers and collaborative projects can apply. The grant is for a photographer already working on a project. Therefore, the application must include photographic prints from the project for which financial support is needed. Applicants must not hold any other fellowship/grant for the proposed project when applying. Applicants must confirm in writing the proposed project has not been exhibited in any commercial gallery or by a commercial gallery in India or abroad. Projects which have been exhibited will not be considered. Exposure of works from the proposed project across social media platforms is acceptable. Application forms can be downloaded from click here There is no application fee. If you need any clarification or information about the Application Process, please email usg@ssaf.in. Clarity of thought about the project will be evaluated during the jury process. The written proposal comprises of the following. Please submit 3 printed copies of each of these documents. The Artist Statement should be concise and not exceed 500 words. The applicant should articulate their intentions and define the scope of the project. The applicant should clearly mention the stage their project has reached and why it needs financial support to conclude it. This grant is for a work-in-progress project only. The applicant should highlight their efforts and objectives towards the realizing the project. The applicant must mention the exposure, if at all, this project has received across social media platforms and online magazines. Applicants must demonstrate evidence of their photographic ability by submitting 10 to 15 photographic prints, no larger than 8 x 12 inches each. Digital submissions/images will not be considered. The photographic prints must be from the project for which the application is made. Submission of any other prints will make the grant application ineligible. Applicants must submit a separate document that contains the following information about each image: caption/title, location, date. Name of applicant; Working Title of Project; Caption/Title of Photographic Print; Location; Date; Serial number/Order of sequence. All written documents must be submitted in typed format (not handwritten) on A4 sheets of paper. No material will be returned unless accompanied by a self-addressed envelope with return postage. SSAF is not responsible for loss of or damage to any submitted material. The deadline for receipt of the completed application form and all submissions for the 2019 Umrao Singh Sher-Gil Grant for Photography is 15 January, 2019. SSAF will independently administer the grant and jury process. SSAF will invite a three-member jury every year, which will include an international member of the photography fraternity. The jury process will last three days. During the first two days, the jury will review all the applications and proposals, and shortlist 3 finalists – primarily on the basis of the substantive and intellectual merit of their project proposals. On the third day, the jury will review the 3 finalists and select the grant recipient, after weighing both the merit and needs of the project. The grantee’s name will be announced on 27 January, 2019 at a reception organized by the SSAF. The announcement will be shared via email and posted on the SSAF website. 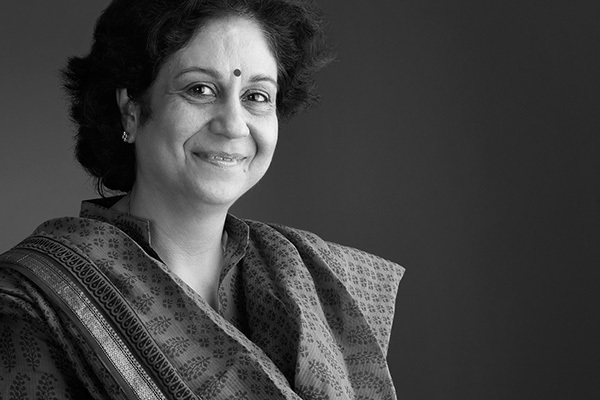 Gayatri Sinha is an art editor, critic and curator. Her primary areas of enquiry are in gender and iconography, media and the study of classical texts. She is the founder of criticalcollective.in, India’s first web based archive and news magazine on art. As curator she has worked with photography and video art from archival and contemporary sources. Her curatorial projects include: Envisioning Asia: Gandhi and Mao in the Photographs of Walter Bosshard, KNMA, New Delhi 2018; Part Narratives, Bikaner House, New Delhi, Dr. Bhau Daji Lad Museum, Mumbai 2017; Diary Entries, Gallery Espace, 2015; Video Art Programme, Dr. Bhau Daji Lad Museum, Mumbai, 2013-2015; Water in the Musee d’Anselmbourg and the Grand Curtius Museum, Liege, 2013, Ideas of the Sublime, Lalit Kala Akademi, 2013; Cynical Love: Life in the everyday, Kiran Nadar Museum, 2011; Looking Glass: The Existence of Difference (Religare Arts Initiative, Max Mueller Bhavan, British Council), 2010; Constructed Realities, Shanghai, 2010; Failed Plot, KIAF, Seoul, 2009; Public Places, Private Spaces: Contemporary Photography and Video Art in India, The Newark Museum, New Jersey, 2007 and Minneapolis Institute of Arts, 2008; Watching Me Watching India Contemporary photography in India, Fotografie Forum, Frankfurt, 2006; Middle Age Spread: Imaging India 1947 – 2004, National Museum, New Delhi, 2004; Vilas: The Idea of Pleasure, Birla Academy, Mumbai, 2000; Woman/Goddess 1998-2001 (Delhi, Bangalore, Chennai, Kolkata, New York); The Self and the World, Women artists at the National Gallery of Modern Art, 1997. She has edited Voices of Change: 20 Indian Artists (Marg, 2010), Art and Visual Culture in India 1857- 2007 (Marg Publications, 2009); Indian Art: an Overview (Rupa Books, 2003), Expressions and Evocations Contemporary Women Artists of India (Marg, 1996) and written monographs on Krishen Khanna, Himmat Shah and M F Husain. She has received research grants from the Ministry of Culture, Government of India and Ford Foundation. She was the recipient of the Tate Asia Research fellowship 2017. Latika Gupta has worked as a curator at the National Gallery of Modern Art and at KHOJ International Artists’ Association in Delhi, besides curating independent exhibitions of South Asian contemporary art. Her curatorial projects include Homelands: A 21st century story of home, away and all the places in-between drawn from UK’s British Council Collection and Arts Council Collection, that toured Delhi, Mumbai, Bangalore, Kolkata, Colombo, Lahore and Karachi in 2013-2014; Folk Archive by Jeremy Deller and Alan Kane that toured Delhi, Mumbai and Kolkata in 2015, and most recently Jeevanchakra, Kolkata, 2016, as part of the Wellcome Collection’s Medicine Corner project in India. She has received fellowships from the Nehru Trust, Charles Wallace India Trust and a Museum Fellowship from the India Foundation for the Arts and INLAKS to curate a permanent exhibition for a museum in Kargil, Ladakh. She was recently a research fellow at the School of Oriental and African Studies, London (2017). Her publications include an essay in the Journal of Ritual Studies, essays in Postdate: Photography and Inherited History in India (University of California Press), Marg Publications and critical reviews in Art India magazine, Take on Art and India Today. 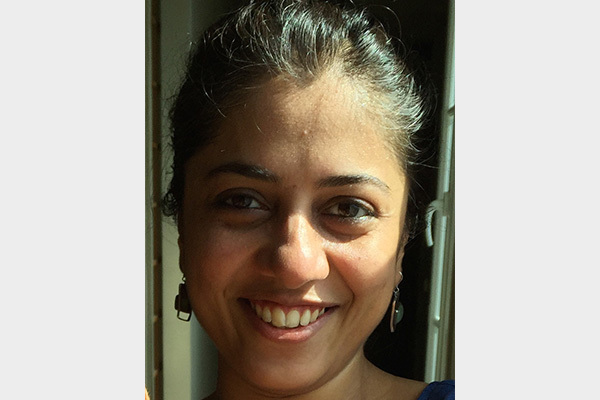 Gupta currently works as Associate Editor at MARG publications. 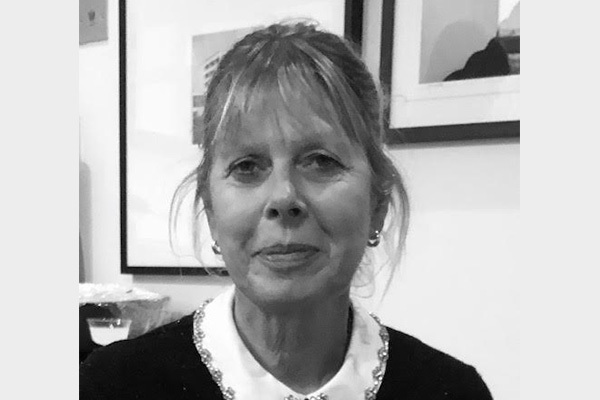 Zelda Cheatle(Jury Chair) Based in the UK, Zelda Cheatle is noted for her longstanding career in establishing photography as art, through sustained work as a curator, lecturer, editor and consultant. After some years taking photographs, she began a gallery career at The Photographers Gallery, London (1982-88) before opening her own gallery, Zelda Cheatle Gallery (1989-2005). For 16 years, her gallery exhibited works by early 20th century maestros of the medium including Eve Arnold, Bernice Abbot, Abbas Kiarostami, André Kertesz, Robert Frank and Bill Brandt, amongst others, while consistently exhibiting and supporting young and emerging artists. Zelda Cheatle has contributed in building both private and public collections both nationally and internationally. She initiated and managed the first Photography Fund, which exhibited and published a collection over 6000 iconic prints including Eve Arnold’s vintage archive and masterpieces of the European and American schools. She is a consultant on multiple projects, is on the board of the Koestler Trust and their Arts Committee, has helped create the John Kobal Foundation (now Taylor Wessing at National Portrait Gallery, London), has been advisor to Photo Shanghai (2015), is a nominator for Deutsche Borse and Prix Pictet competitions and an active member of the Academy for World Photography Organisation. She is a visiting lecturer at Central St Martins, Kingston University, University of Ulster Belfast, Sotheby’s Institute, University of Westminster, ‘The Cass’ at Metropolitan University, University of West London, London College of Communication, UAL and Northampton University. Zelda also curates and lectures internationally, including an advance course for collectors of photography, most recently exhibiting works from the celebrated Cass East End Archive. This includes images by Steven Berkoff and Don McCullin in London, East Wing and West Wing exhibitions, showing the short listed and award winning images at Sony World Photography Awards, Yan Preston Mother River in China and at Three Gorges Museum, Chongqing, Wuhan Art Museum and Swatch Art Peace Hotel Shanghai. Upon being informed that he/she has been selected to receive the grant, the grant recipient must confirm in writing that the proposed photography project is an ongoing project, and that it has not received any other grants/awards in the past. While this is a material condition of the application process itself, this additional confirmation in writing is expected by the SSAF. The grant recipient must agree to complete his/her project within 18 months of receiving the first instalment of the grant. The grant will be provided in instalments, based on the submission of a budget. The grant recipient must agree to have his/her project monitored/reviewed by the SSAF or its representative/s periodically. On completion of the project, the grant recipient will provide SSAF with 10 archival edition prints along with their digital files. The prints and their digital files will be archived for public viewing in the years to come. The grant recipient will also give permission to SSAF to reproduce the images for publicity and promotional use.